Eric was born in 1936 in Luxembourg while his mother was studying music in Europe. Eric’s father, a German Jew, was forbidden by the laws at the time to marry his mother. She registered his birth at the American Embassy in Berlin before bringing him to the United States, where she put him up for adoption in 1938. She then returned to Europe. Since then, Eric has been unsuccessful in finding either of his parents. At age seven he was happily adopted by a successful neurosurgeon, Yale David Koskoff and his wife Elizabeth, a playwright and concert pianist who chose Eric because of his musical heritage. 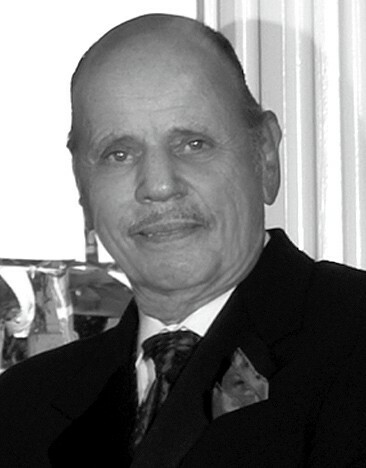 After attending public schools in Pittsburgh, Pennsylvania, Eric graduated from Western Reserve Academy in Ohio in 1954, from Haverford College in 1958, and the University of Pennsylvania Law School in 1964. He practiced law, first in Pittsburgh and later in Maryland, for almost 20 years before finding his new talent: computers. He enrolled in the computer-science graduate program at Johns Hopkins and started his current career in 1981. Eric is married to the beautiful Stephanie Eisenman, a former top professional model. Hating cold weather, he moved to Fort Lauderdale in 1995 and, encouraged by Judith Carney, who was then with Miami City Ballet, quickly became a supporter and volunteer for the ballet. When Judith started working for Florida Grand Opera, she persuaded Eric to volunteer for The Opera Society as well. Eric has been a member of the Miami City Ballet Artists’ Circle since 1997, first for the Broward County chapter and, for the past four years for the Miami-Dade group. He has produced the annual Student Showcase Journal for the past two years and provided hundreds of hours of volunteer service. He has served as the Membership Vice-President of The Opera Society since 2009. He produces the yearly membership directory, maintains the membership database, provides extensive support for the Diva Luncheon and other events. He feels deeply indebted to all the wonderful staff and volunteers of both organizations for giving him the joy and excitement that working with them provides.